Getting a tattoo is one of the most popular ways of personality expression in this era. It seems like everyone has one these days. Originally worn by sailors, gangs, slaves, and outlaws, today it can be worn by just about anyone. They allow the person to express something about their person, style, history, or beliefs in a permanent way. A reputed tattoo artist will usually give clear instructions on how to care for your new tattoo. He will tell you how to wash, clean, and sterilize the area to make sure that you keep the area clear off bacteria. You will also be given an ointment to use, along with details on how and when it should be applied. At Surrey Natural, we have tattoo after care creams that will help your skin in the healing process after a fresh tattoo. Our products are vegan friendly and petroleum free. Another creative, but old expression of art on the body is by piercing. In many tribal areas of the world the ears or the nose is pierced to a great extent. However, in the modern world women pierce their ears more, although a lot more men have pierced their ears lately. It is important that after every piercing you take proper care by keeping it clean. This will save you from infection that can later cause many problems, and delay the healing process of the skin. 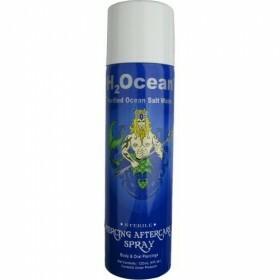 Our piercing after care spray contains natural enzymes that help kill bacteria, virus, and fungi that cause disease. 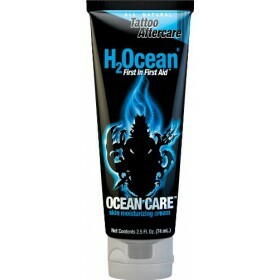 Vegan friendly Water based (petroleum free) Fragrance free Ocean care cream is designed ..
H2Ocean's ingredients are natural to the human body The active ingredient Lysozyme kills over 6..